by Jaakko Juntunen, Optenni Ltd.
Small-size printed loop antennas are widely used in many applications such as automotive safety systems, wearables, and Internet of Things (IoT) devices. These antennas offer excellent features, including light weight, small footprint, and low cost, and they can be easily integrated into a printed circuit board (PCB). 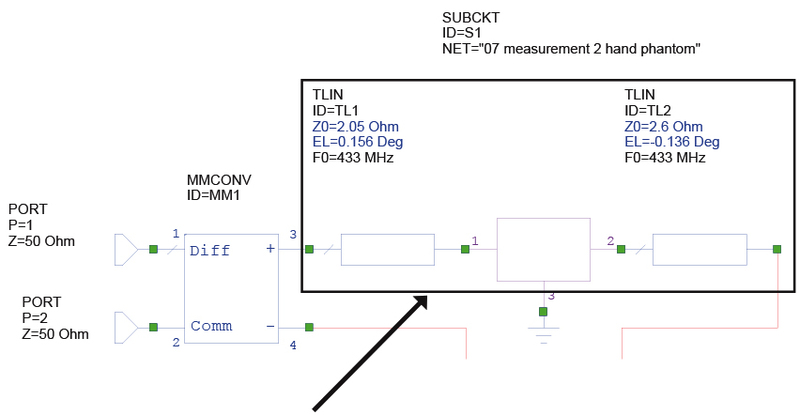 Since most loop antennas are tiny and the 433 MHz frequency band is used, designing them with acceptable efficiency and performance can be challenging. In a remote car key application, for instance, a typical loop diameter is about 2-3 cm, making the antenna small compared to the wavelength of 70 cm. Therefore, the antenna must be carefully matched with low-loss matching components. Another challenge is that the matched small loop antenna magnifies the small changes in impedance caused by environmental factors such as proximity to the human body. This article discusses how to analyze and overcome this phenomenon and introduces a unique design flow that characterizes and optimizes very low-ohmic antennas. The flow, made possible through the AWR Connected™ family of third-party software solutions integrated with NI AWR Design Environment, includes Microwave Office circuit design software integrated with the Optenni Lab RF design automation platform. 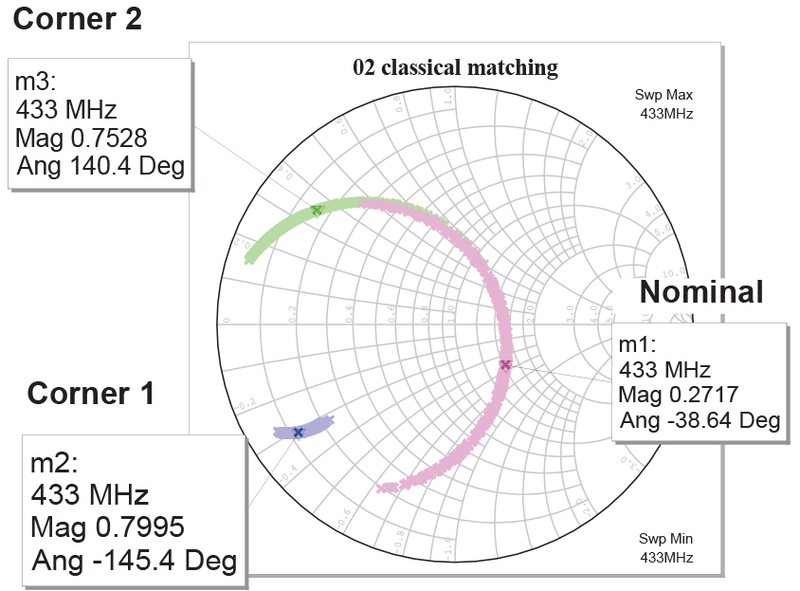 A corner analysis-based methodology is presented that provides a stable matched antenna by maximizing the minimum performance over the manufacturing environment and component variations. Small loop antenna radiation resistance, or payload, is very small, in the order of 50 milli-ohms. The loop bulk AC resistivity is many times higher than that, about 500 milli-ohms. Matching to such a low resistance emphasizes the importance of selecting very low-loss matching components and loss control in general in the application. A loop antenna’s performance is best characterized by the current that flows in the loop, rather than by looking at the reflection coefficient at the source. Even though S11is an ingredient in the antenna design, loop current is a better performance figure of merit. A dipole antenna is a simple and perhaps the most widely used class of antennas. It consists of two conductive elements such as metal wires or rods that are usually bilaterally symmetrical. A dipole antenna of a comparable size to a loop has much higher radiation resistance, however, it is very sensitive to human body proximity, while a loop antenna, which is essentially a magnetic dipole, is less sensitive. This makes a loop antenna an appealing choice for devices that have contact with or operate close to the human body, such as a remote car key device. A numerical experiment was carried out using AXIEM 3D planar electromagnetic (EM) analysis, in which the distance (D=5-100 mm) of a thick, lossy slab from both a loop and a dipole was parameterized. The slab approximated the properties of a human hand with a thickness of 20 mm, ER=35, and TAND=0.52. The values were obtained from a tissue calculator, averaging dry skin, muscle, body fluid, and bone properties. When looking at only the very reactive input impedances, there wasn’t much change over distance in either case. However, an ideal matching circuit was applied to the nearly reactive impedance, causing a greater difference. With ideal matching to free space and then sweeping through the slab distance from 5 to 100 mm, it was observed, as shown in Figure 1, that the loop reflection coefficient for small distances improved consistently (blue line) when going from very close proximity to free space, while the dipole reflection coefficient stayed near the Smith chart edge (pink line) and the matching did not improve in the same way as the loop. 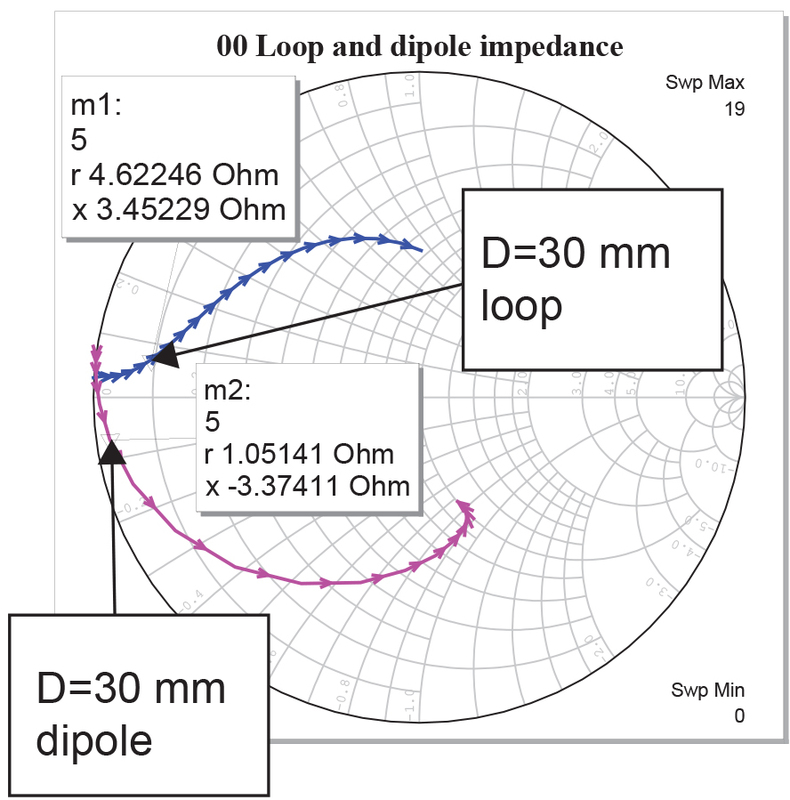 Applying a perfect matching at D=10 mm (Figure 2), demonstrated that the small dipole matching was highly sensitive to the environment, especially when the lossy object is near the dipole. The matched loop, on the other hand, behaved smoothly. In summary, this experiment showed that even with theoretical matching circuits, there is no solution for the dipole antenna that is stable at small distances near the human hand. Since a remote car key device must transmit with the hand nearby, the loop antenna type is thus the better choice. There are still several challenges with designing a small loop antenna. The layout is critical because the small loop’s low radiation resistance makes it possible to create a matching circuit and layout that absorbs nearly all power from the source before any current enters the loop. In this example, a sample AXIEM model of a remote access key fob loop antenna with realistic dimensions was built. Figure 3shows the feed and matching area on a piece of printed circuit board (PCB), as well as the loop itself. The loop area was about 600 mm2, and using the formula given in the figure, its radiation resistance was indeed about 50 milli-ohms. Using perfect electric conductors for all metals and a lossless substrate, a 57 milli-ohms resistance was observed, which was in very good agreement with the theoretical expectations. 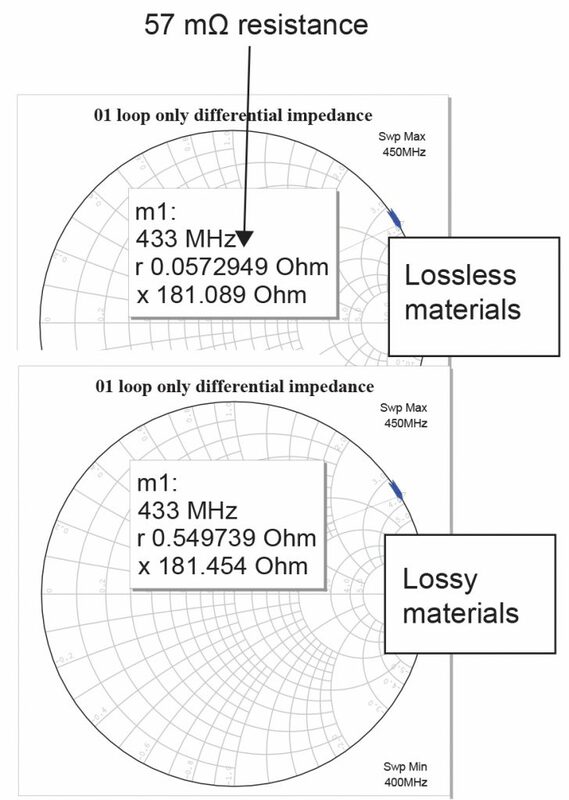 Adding losses one component at a time, it was discovered that the ground plane contributed 24 milli-ohms, substrate losses (TAND=0.005) contributed 142 milli-ohms, and loop metal losses contributed 327 milli-ohms. Thus, the highest loss came from the loop metal itself, making it important to design the loop metal as wide as possible to minimize the loss. The overall conclusion of this experiment was that the radiation efficiency of the antenna was only about 10 percent (Figure 4), setting the ultimate total efficiency limit of any implementation approach. The classical approach to designing a matching circuit is to seek a circuit that matches the differential source impedance to the differential load. 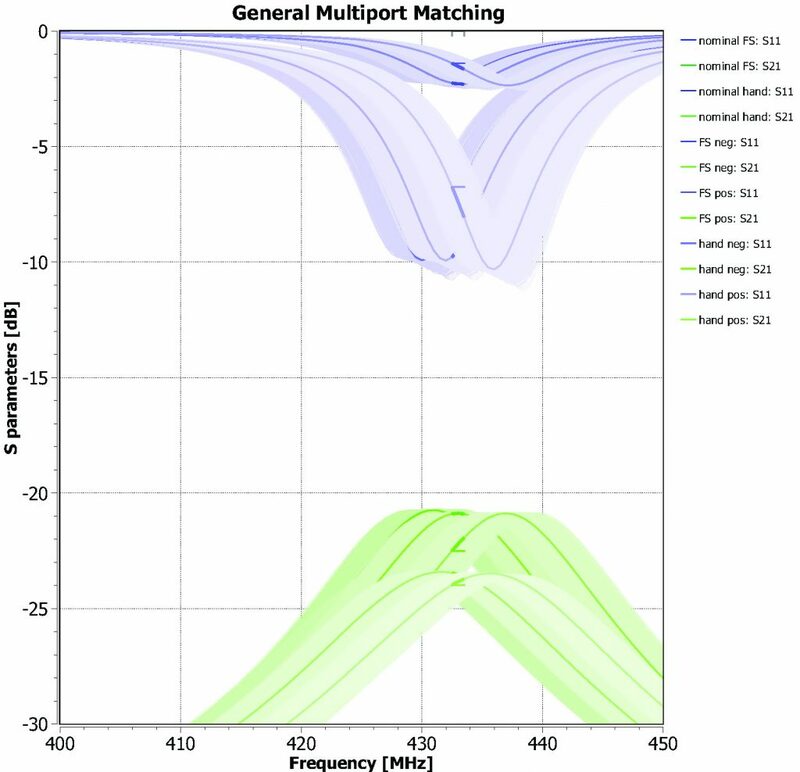 Using Optenni Lab software, the one-port S-parameter file (s1p) of the differentially-fed loop was being read in, and a matching circuit was synthesized and interpreted in a differential sense, shown in Figure 5. For a realistic implementation, a layout model was built and simulated in AXIEM simulator. Real library (AVX) components with tight tolerance were used in Optenni Lab and the synthesis suggested a series-capacitor-shunt-capacitor topology. As shown in Figure 6, the results were quite good. Only slight tuning for the shunt capacitor C2 was necessary to match the loop to the source impedance. Two main factors influence the stability of an antenna design: the component tolerances and the variation caused by environmental factors and manufacturing tolerances. The manufacturing tolerances can be modeled as variations in dielectric constant and substrate thickness. The environmental factors in this example were investigated by the previously discussed lossy slab simulation in AXIEM software. A differential single-port structure is in general characterized by its differential and common mode impedances. The structures are seldom perfectly symmetrical, so in practice there is always some amount of power conversion between the modes. Therefore, a full characterization requires knowledge of both. To emulate the impact of environmental changes to the performance of the loop antenna, the dielectric constant ER and thickness of the substrate H were varied. The variation in ER was ±5 percent, and that of H was ±50 µm. To emulate the impact of the user hand, the loop model was simulated with the presence of the lossy slab and in free space. Interestingly, when compared with the ER and H manufacturing tolerances, the slab impact was smaller overall. This highlighted the magnetic loop’s insensitivity to dielectric loading. Note that the corners are, practically speaking, pure phase shifts and despite apparently very small shifts, they have a big influence when looked at through a matching circuit. Such impedance perturbation is possible to carry out for a measured sample. This is equivalent to a controlled manufacturing corner analysis, without having to seek prototype samples that exhibit the extreme parameter limits in ER and H. The impact of the manufacturing corners is simulated, but the prototype nominal performance is measured. This aspect will be discussed subsequently. Next, the corners were applied to the design to understand how they influence the port matching (Figure 7). The magenta curve represents the response due to the nominal substrate parameters in free space, the blue curve is the first corner response, and the brown curve is the second corner response. It was noted that the slab’s presence increased the differential mode resistance significantly through the additional losses (from about 600 milli-ohms to more than 2 ohms), causing the impedance trace to shrink. In addition to environmental variations, there are the component tolerances. Figure 8shows the results at 433 MHz when component tolerances were applied to the manufacturing and environment corner cases. Even though the most accurate components available were used, the component tolerances contributed significantly to the response variation. Overall, the environmental and manufacturing effects (corners) and component tolerances, even very small ones, contributed significantly. An internal port was then added in the middle of the loop to act as a current gauge; as shown in Figure 9, red boxes in the middle and right. The current gauge port enabled monitoring the loop current (left). With the nominal manufacturing corner and nominal component values (magenta curve), there was 61 mA current. The component tolerances degraded the current down to about 43 mA in worst case. For the first manufacturing corner with the slab model (blue line), the minimum current was only 16 mA. The environmental corners were dominating the reduction in radiated power over the component tolerances, causing a significant drop of more than 10 dB. The component tolerances could decrease the power a further 1.5 dB, meaning that the overall random loss that could not be controlled very much could be in the order of 10-11 dB from the already poor radiation efficiency. The design challenge was how to alleviate this problem. The key to solving the problem was the impedance configuration tool in Optenni Lab. This tool enables designers to import the corner and nominal cases at the same time and to find the matching circuits such that the minimum performance over the impedance configurations is optimized. In this example, reduction in nominal performance was considered a good tradeoff if the worst case corner greatly improved by doing so, because this meant that the dependency on environmental factors had been reduced. So, instead of just the nominal S-parameter data, the two corners of the unmatched loop were also included in the analysis. From a matching circuit synthesis perspective, the trick was to set the target to maximize the current at the gauge port shown in Figure 10, which is a low-ohmic, nearly transparent port that didn’t significantly influence the current flow in the loop. This was equivalent to maximizing S21in the setup shown in Figure 11. 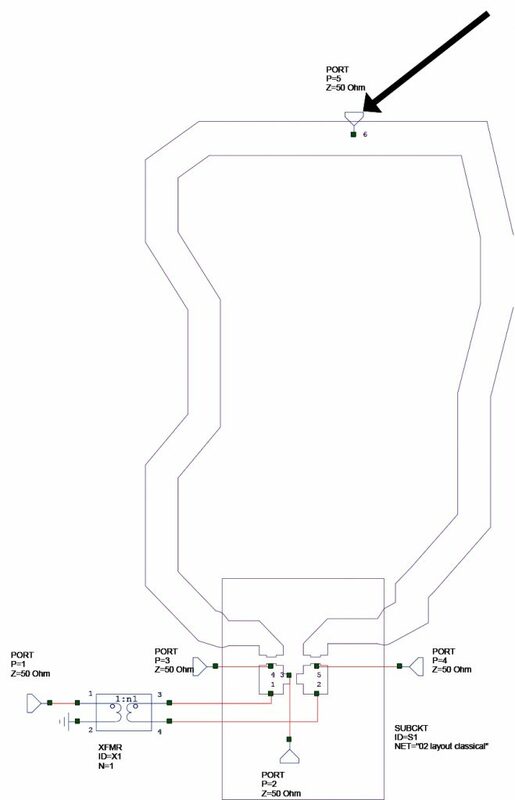 Port 1 of the circuit in Figure 10is the feed port and Port 5 is the 10 milli-ohms current gauge port. The other ports are declared as component ports, and they represent shunt components (Port 2) and series components (Ports 3 and 4). The synthesis result for optimizing the loop current at nominal and corner cases is shown on the right in Figure 12. 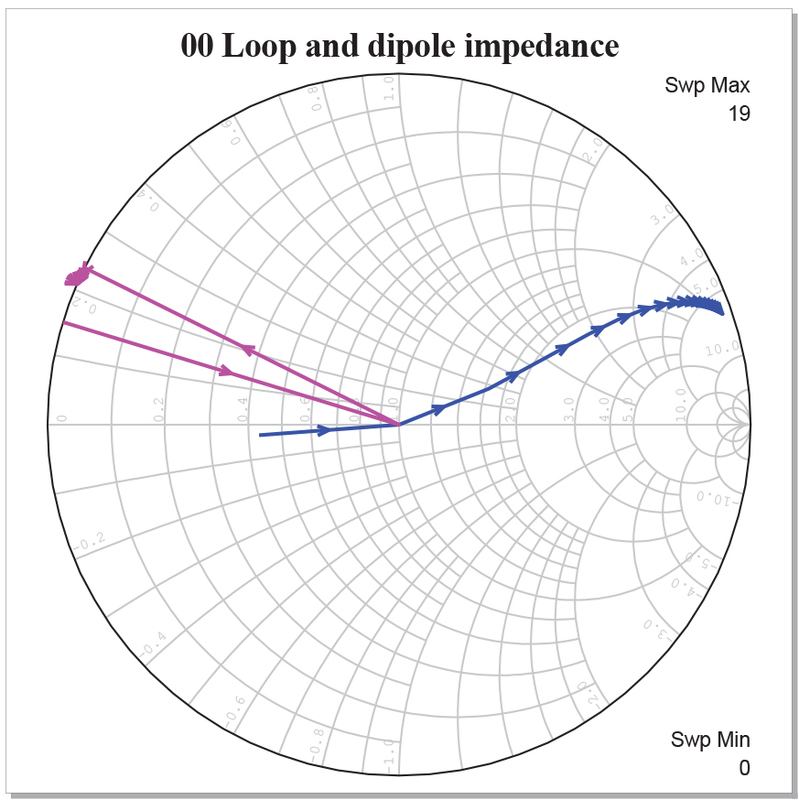 The corresponding loop current was simulated in Microwave Office software and as the graph on the left in Figure 12shows, the nominal performance (pink) was reduced from 61 mA to 38 mA, but the worst case (green) improved from 16 mA to 26 mA, or +4.2 dB improvement. Finally, the two corners (green and blue) were nearly in balance at 433 MHz and neither was dominating. The simulation showed that the total resistance with the slab present was 2.218 ohms and the calculated maximum power was thus 30.0 mA. The first corner result of 29.6 mA was very close to the theoretical maximum. To have a closer look at the problem, several current gauges were distributed around the loop to uncover that the current was not entirely uniform (Figure 14). The result, shown on the right in Figure 14, showed that the average was 28.9 mA. To double check the results, a loss breakdown was carried out. The return loss for corner 1 was -8.4 dB (14.5 percent of the source power is reflected back). Optenni Lab was used to calculate the matching component losses as a percentage of available power, which came to 4.15 percent. Component and return losses were thus 18.65 percent, leaving 0.8135 mW power delivered to the circuit, corresponding to 27.1 mA loop current. Owing to the uncertainty in the loop resistance simulation (observed gauge currents corresponded to 1.95 ohm loop resistance versus directly simulated 2.22 ohms), it was concluded that the results were consistent with the theoretical maximum and that, in any case, there was little room for improvement as the design was very close to the optimal that could be reached. The reduction in the performance due to the component tolerances is a factor that can’t be controlled by the design—it can only be controlled by the choice of matching components. In summary, the manufacturing and environment corners determined the extreme cases which should be optimized in a balanced way. Essentially, the target was to maximize the envelope of the worst case current over the corners and the component tolerances. Once the corners were selected, the impedance configuration tool in Optenni Lab was straightforward to apply. The methodology automatically set the corner results in equilibrium. From a measurement perspective, because very small changes in the unmatched measured impedance translated into big changes in the matched impedance, it was possible to test using a vector network analyzer (VNA) to average and filter functions by synthesizing an ideal matching circuit, making sure that the measurement noise was within acceptable limits when looking at the impedance through the ideal matching circuit. It can be a laborious task to define the manufacturing corners (such as ER, H) directly in a measurement-based approach, but they can be emulated by perturbing the measured differential/common mode impedances in a controlled fashion, as described earlier. A proper measurement setup requires a prototype with three measurement ports: one at both ends of the loop and one in the middle of the loop. 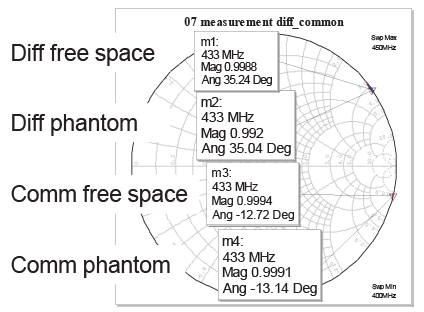 This three-port setup is then measured in free space and with a phantom of a human hand. From the measurement data, the differential/common mode impedances for each case in the Microwave Office circuit simulator could be checked. Due to a lack of proper measurement hardware, the setup was simulated and the result is shown in Figure 15. The (ER, H) corner emulation was carried out by adding a small transmission line to both inputs in the simulator and optimizing them until the desired change in differential/common mode impedance was achieved. These perturbed models now accurately represented the manufacturing corners. In practice, the optimization setup for the model perturbation is shown in Figure 16. The transmission lines are indeed very short, but due to the sensitivity of the overall problem, such small perturbations are actually causing the corner variations discussed in the earlier chapters. The perturbed measurement was then combined with an AXIEM layout model of the matching circuit (Figure 17). Such multiport models were then exported to Optenni Lab. The multiport models included two nominal data cases (free space and hand phantom) and four emulated corners (two for free space and two for hand phantom). The impedance configuration tool was again used for the six data sets to maximize the power at the current gauge port. The results over the six cases are shown in Figure 18. The green arrow indicates the worst case, which is clearly well balanced and close to its achievable maximum. The low absolute level of S21is simply a result of the deliberate choice of low port impedance. Remarkably, the synthesis result due to the emulated manufacturing corners using the differential/common mode impedance phase perturbation methodology and the direct simulation of manufacturing corners was exactly the same. This confirmed that the impedance perturbation methodology is an accurate representation of the (ER, H) corners, so it provided a way to include the important manufacturing corners in the design, even when lacking physical samples representing the corner cases. In a pure simulation domain, it is easy to set the material parameters to their extremes as desired, but it is not typically possible to perform this experiment while working in a prototype domain. 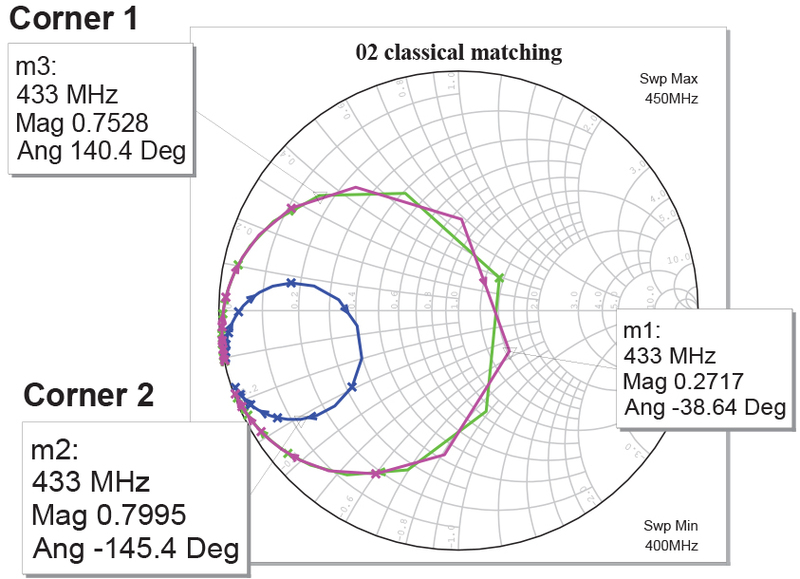 This article has demonstrated how to analyze and overcome the issue of matched small loop antennas magnifying small impedance changes caused by environmental factors such as proximity to the human body. A new way to characterize very low-ohmic antennas using the AWR Connected for Optenni Lab solution has been explored and a corner analysis-based methodology has been presented that improves the performance over the manufacturing and environment corners. The results were nearly optimal, which was confirmed by comparing them to the theoretical limit. In the example discussed, the results were more than 4 dB better (2.6x higher radiated power) than in a classical reference design. 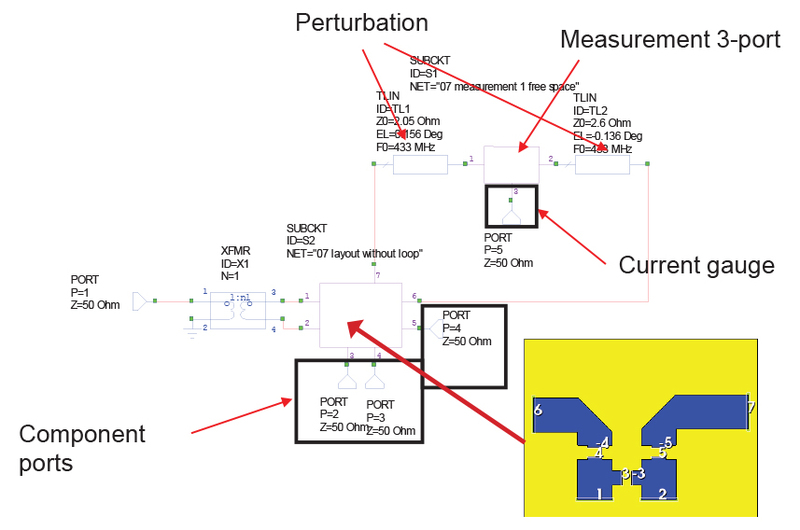 Figure 7: Nominal parameters and corners 1 and 2 were applied to the design candidate in order to investigate the port matching sensitivity to environment. The slab’s presence increased the differential mode resistance significantly through the losses (blue curve).